1985-89 Department of Industrial Engineering, B.A, Bogazici University, Istanbul, Turkey. 1989-92 Department of Economics, M.A, Bogazici University, Istanbul, Turkey. Thesis is on “The Economic History of Planning”. 1992-95 Department of Management, Ph. D. , Istanbul Technical University, Istanbul, Turkey. Thesis is on “The Impact of New Technologies on Scale: a Case Study of the Turkish Chemical Industry”. 1994 Ph.D. Internship, Institute of New Technologies, United Nations University, Maastricht, Holland. 2017- Board member, Inovent (Technology Commercialization Company), Istanbul. 2013- Academic Director, Sabanci University Entrepreneurship Committee. 2009- Full Professor, School of Management, Sabancı University. 2014-5 Visiting Professor, Sloan School of Management, MIT, US. 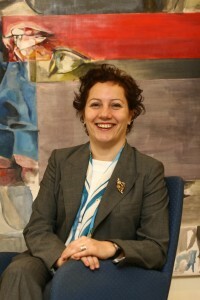 2008-10 Director, Competitiveness Forum, Sabanci University, Istanbul, Turkey. 2007-8 Visiting scholar, Center for Technology Management, University of Cambridge, UK. 2003- Academic director, Entrepreneurship Development Program, Sabancı University. 1999-09 Associate Professor, Faculty of Management, Sabancı University. 1999-2001, 2011 (Summers) Visiting Scholar, Engineering and Technology Management, Portland State University, Portland, OR, US. 1998-9 Visiting Scholar, Industrial Dynamics Department, Chalmers University of Technology, Gothenburg, Sweden. 1995-8 Visiting Scholar, Economics Department, Case Western Reserve University, Cleveland, Ohio, US. 1990-5 Research Assistant, Bogazici University, Istanbul, Turkey. 2012 Best Book Award, IAMOT. 2007-8 Post-Graudate Scholarship Program /R2219 funding program, TÜBİTAK. 2003 TÜBA (Turkish Academy of Sciences) Encouragement Awards at Social Sciences. 2001 TÜGIAD (Turkish Young Industrialists Association)‘s Best Paper Award (then published as a book). Last updated on March, 2017.